If you own a coach or travel company you’ll understand the necessity of a well maintained fleet of vehicles as the last thing you want is a damaged windscreen when you're due out on the road. 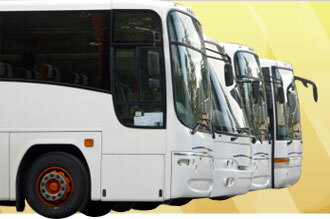 Here at Plant Glazing Services we offer a comprehensive service in relation to bus and coach glazing, whether you need a replacement front windscreen or side window glazing. Our specialist team have years of experience and will ensure all the coach glazing services we carry out are done so in accordance with the relevant health and safety requirements, maintaining the safety and integrity of your vehicle. We carry a variety of suitable glazing that can be cut to size to fit everything from mini buses to long haul coaches. And as every member of our expert team is professional and dedicated to our customers, you can be sure of a prompt and reliable service that will get you back on the road in no time.